Official Mississippi Blues Trail T-Shirt. Every sale directly benefits the Mississippi Blues Trail. When you buy this official Mississippi Blues Trail t-shirt, only available through Bluescentric, you'll help create new Blues Trail Markers and maintain more than 200 existing markers! What's the Mississippi Blues Trail? More than 200 markers across Mississippi (and now, the world) which point out the interesting and unique hidden history of Mississippi's Blues, the single most important source of modern music. Find places you've never seen, facts you didn't know, and new appreciation for the area that gave birth to the blues on the Mississippi Blues Trail. 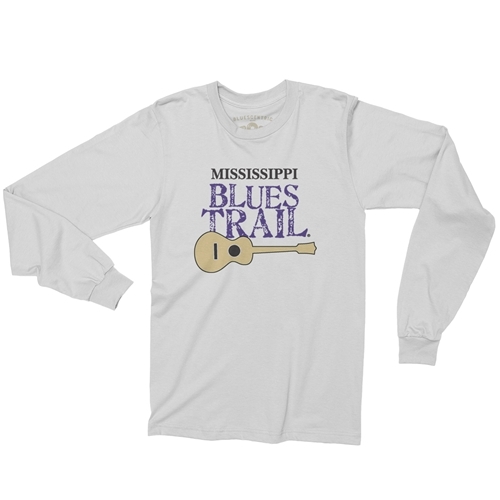 Bluescentric Brand carries premium Mississippi Blues Trail Long Sleeve T-Shirts in sizes up to 5XL. 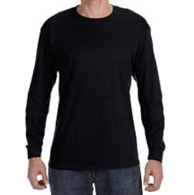 This is a pre-shrunk 6oz 100% heavy cotton (athletic heather 99%) long sleeve tee. Double-needle sleeve and bottom hem.